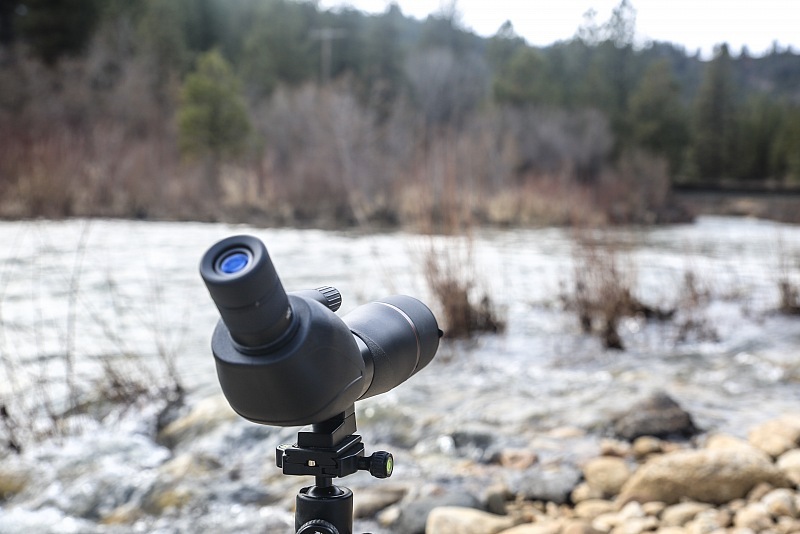 If you’re a hunter, bird watcher, target shooter, or engaged in any activity where enhanced vision is an asset, a spotting scope is a fantastic investment. Spotting scopes are designed to be used with a tripod, and are less portable than a pair of binoculars. However, they offer the best magnification and clarity of any type of sporting optic, making them ideal for spotting animals from long distances. This article will review what to look for when making an investment in a spotting scope to help you choose the best scope for your needs. Spotting scopes can be used in a variety of contexts, but they are generally used to provide greater magnification than a pair of binoculars. 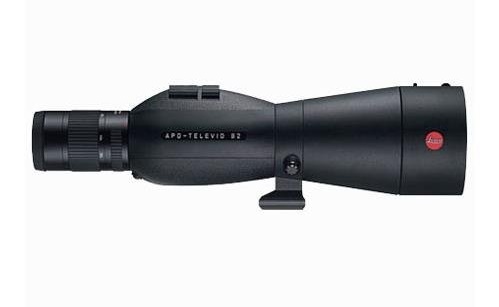 These scopes are often used for hunting, archery, birding, and spotting wildlife. They can also be used to magnify a beautiful scenic mountain range. A spotting scope can be attached to a camera to take a long ranged pictures of a majestic animal without disturbing them or putting yourself in danger. Some people who use spotting scopes use them in conjunction with guns. This allows the person that is hunting to get a better view of the actual target before taking a shot. Spotting scopes are also used during target shooting to view the target hit at greater distances. 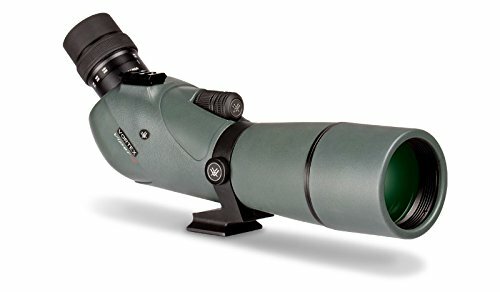 There are two types of spotting scopes: an angled body spotting scope, and a straight body spotting scope. Both work well in most situations, but one may be preferred over the other in certain viewing circumstances. An angled body scope is great for looking either up at your target or across flat ground. 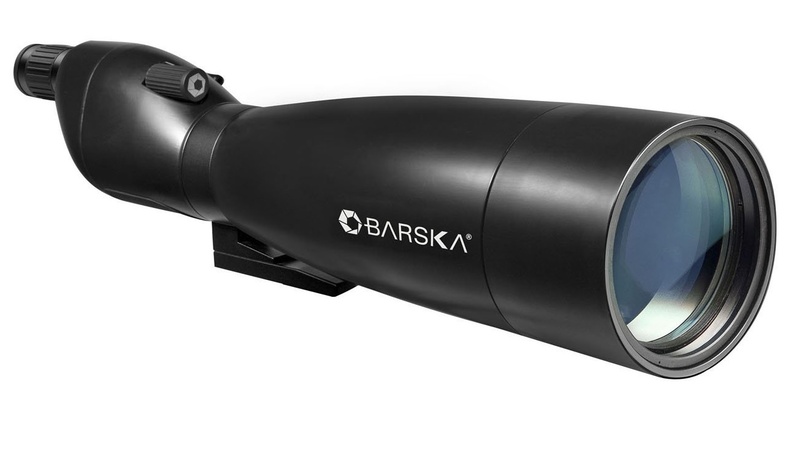 This type of scope is also perfect for viewing from the window of a vehicle. A straight body scope is best for viewing from a higher position, like from an elevated point on a mountain to catch a glimpse into the valley below. 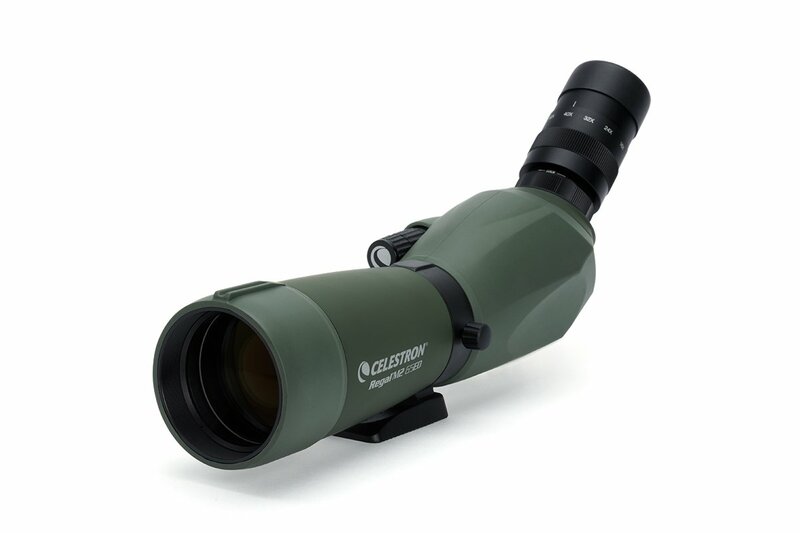 The absolute best option for a spotting scope is a high quality objective lens that is comprised of high performance glass. Always go for lens quality over size if you have to choose, as a larger lens of poor quality will result in a mediocre view when compared to a smaller lens of optimal quality. A larger lens will always produce a superior image at higher magnifications than a smaller lens of the same quality. Objective lens size can make a massive difference in price; expect to pay more for a larger scope. The magnification of a spotting scope is designed for viewing at ad distance where conventional binoculars no longer function. 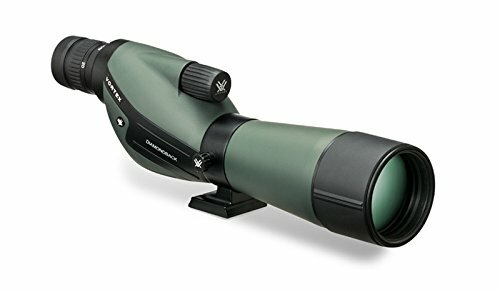 Most observation done with a spotting scope requires a magnification of 30x – 40x, which assures that most scopes are capable of producing reasonable images. As the lens quality goes up, the quality of the image increases as well. A bit of quality will always be lost at higher magnifications, but a higher quality scope will reduce the image drop-off quality. The atmosphere also plays a big factor in the quality of the image being viewed. Humidity, glare, wind, and dust can all lower the quality of the image. High altitudes with dry climates are bound to produce higher quality images at high magnifications. Low altitude areas that are wet and humid may require a low magnification for a clear image. Many spotting scopes do not go higher than 60x due to the limitations set by the atmosphere for magnified viewing in the daylight. 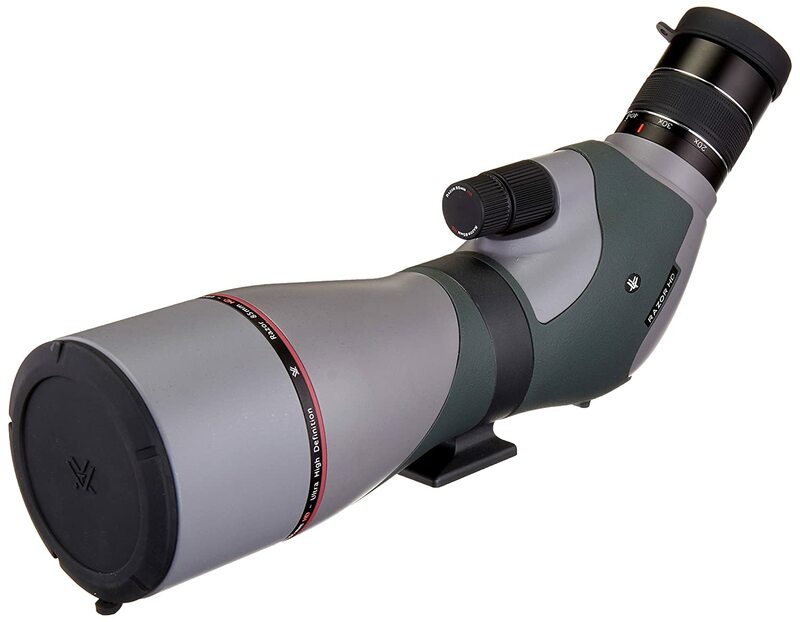 Lens coating is an important feature of a spotting scope, especially for viewing images at high magnifications. The lens can be fully coated, multi-coated, or fully multi-coated. Each lens coating improves the light transmitting into the lens, but the quality depends on the coating chosen for the specific scope. 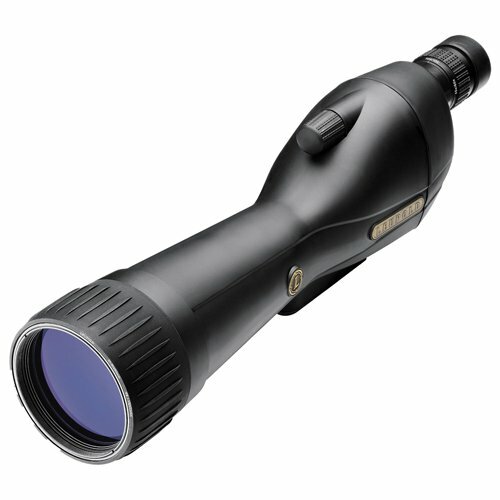 Premium spotting scopes all tend to be fully multi-coated to produce the optimal viewing experience. Eye relief is the distance the viewer’s eye can be from the eyepiece without losing any of field of view. This feature is especially necessary for people who wear glasses. With a big enough eye relief, even people who wear glasses with thick lenses will be able to see the full image without an issue. 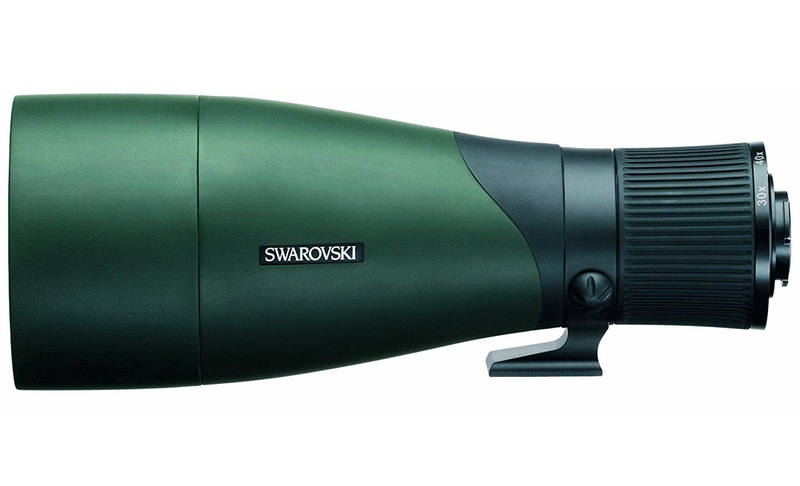 For those who require glasses to see, it is recommended to have at least 14mm of eye relief on a spotting scope. Most spotting scopes are refractors that use prisms inside the scope to flip the image right side up and left to right. There are two different types of prisms used in spotting scopes: a roof prism and a porro prism. 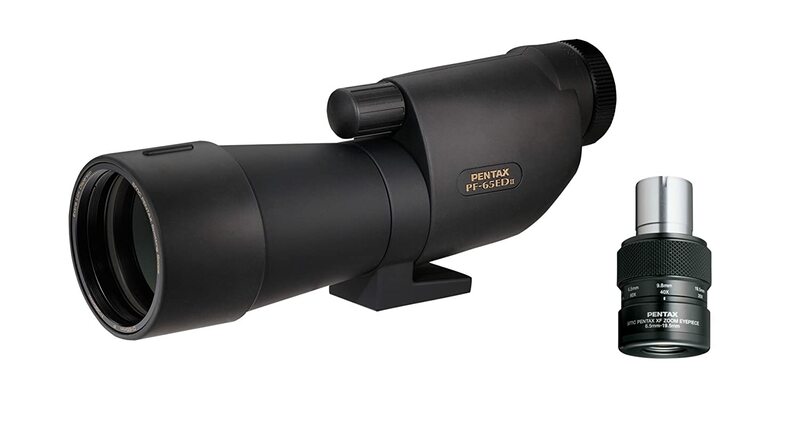 The roof prism spotting scope is slim and compact, but it tends to lack some key features like interchangeable eyepieces. It is an extremely portable scope that is perfect for someone who is always on the go. 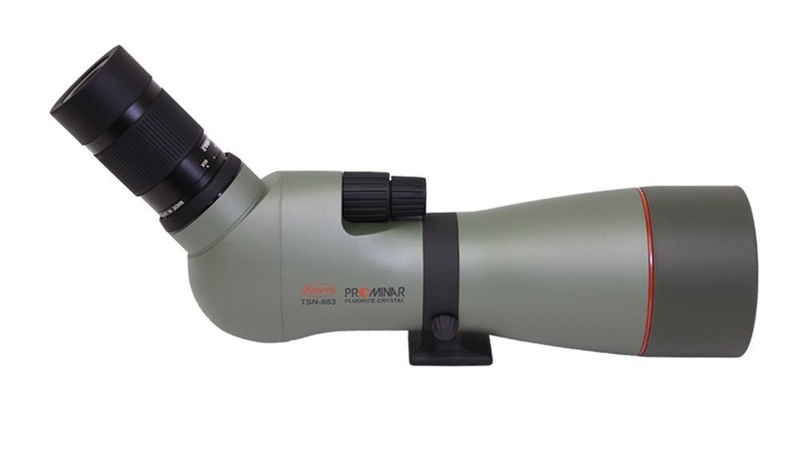 The porro prism spotting scope is the most efficient and the least expensive prism to produce, which makes it the most common. 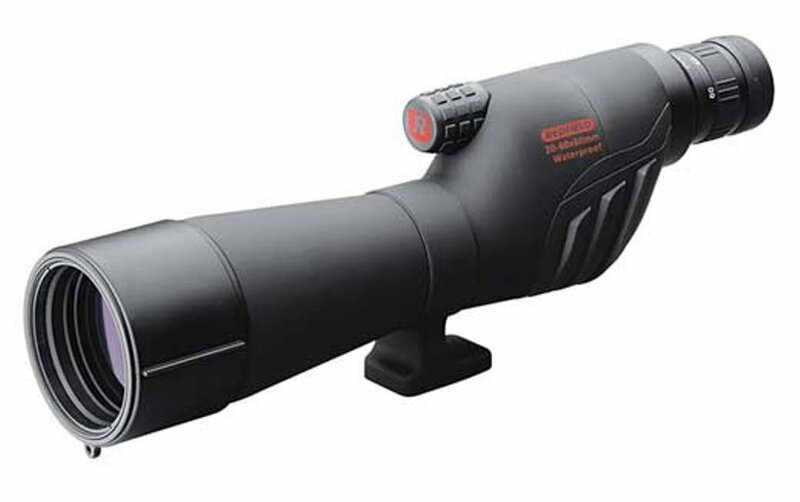 When purchasing a spotting scope, be aware that sometimes the eyepiece is not included in the price of the scope. If the eyepiece is included in the price, the eyepiece may not be removable. 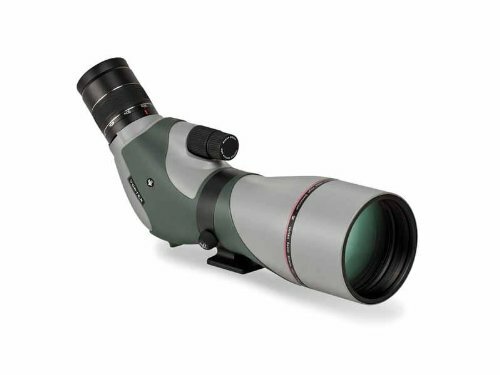 Higher end spotting scopes have removable eyepieces that often do not come included with the price of the scope, to give the buyer a chance to choose from the different options available. A single powered eyepiece has some optical advantages, but most people who use spotting scopes prefer the convenience of a zoom eyepiece. With this type of eyepiece, the magnification can be changed easily in a situation where the atmospheric conditions are not stable. A zoom eyepiece that is high quality will have a great eye relief as well as produce exceptional image quality. A close focus is the nearest distance a spotting scope can view. Most spotting scopes do not have a close focus of less than 20 feet, so make sure the image being viewed is an adequate distance away. This feature is perfect for viewing birds and seeing intricate details on their feathers. Waterproofing and fogproofing are not absolute necessities, but they are features that protect the spotting scope from atmospheric conditions. The seals that are produced to keep moisture out will also keep dust and debris from the scope, which will keep the spotting scope in good condition for a longer period of time. Most spotting scopes can adapt to a camera to take long distance pictures. This process is often referred to as “digiscoping.” Make sure the scope and camera are compatible to assure a great picture from the mountain top. To properly “digiscope,” specific adaptors may be required for the camera to produce vibrant, razor sharp images that are of exceptional quality. The Vortex Diamondback is an excellent mid-rang spotting scope. The great value is matched by a great performance that has a reputation for being on par with spotting scopes that cost twice as much. The fully multi-coated lens is coupled with a dielectric prism coating that optimizes light transmission, which gives the viewer an image that stays true to the bright colors seen in nature. The classic straight body design also features fog and water resistant seals that will protect the scope from moisture or debris. 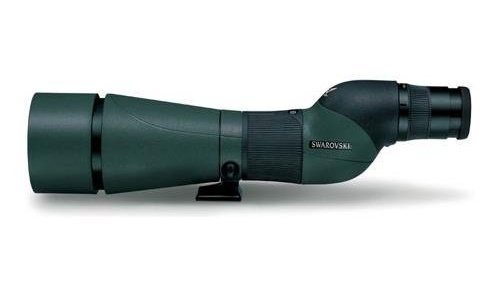 The Vortex Diamondback is a very sturdy scope that is great for “digiscoping.” A sunshade is included to help reduce the glare in the field of view. There are a lot of different spotting scopes available on the market today, but not all scopes are created equally. 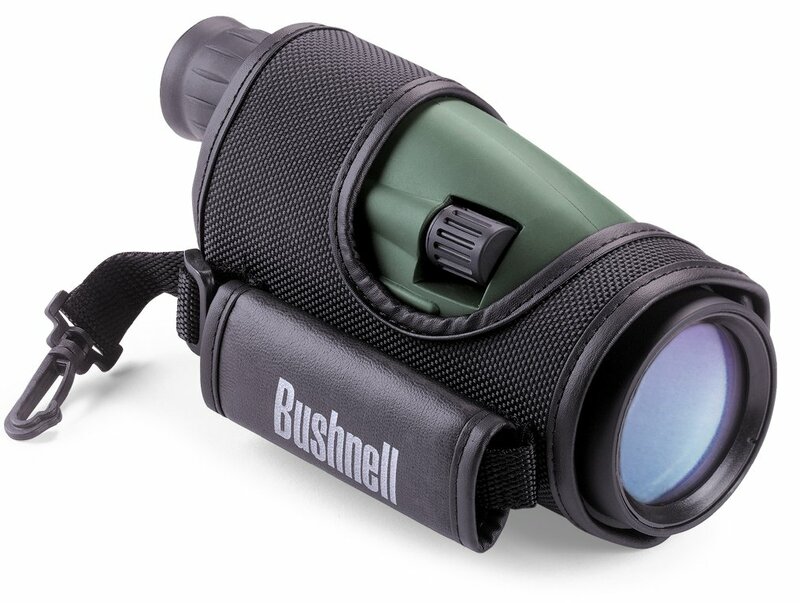 This article was designed to introduce someone who is new to birding or other recreational activities where a spotting scope is useful to the different features that are available. Once a spotter is sure of the magnification they need, it comes down to knowing the price restraints for purchasing the scope and determining which extra features should be included in the price. 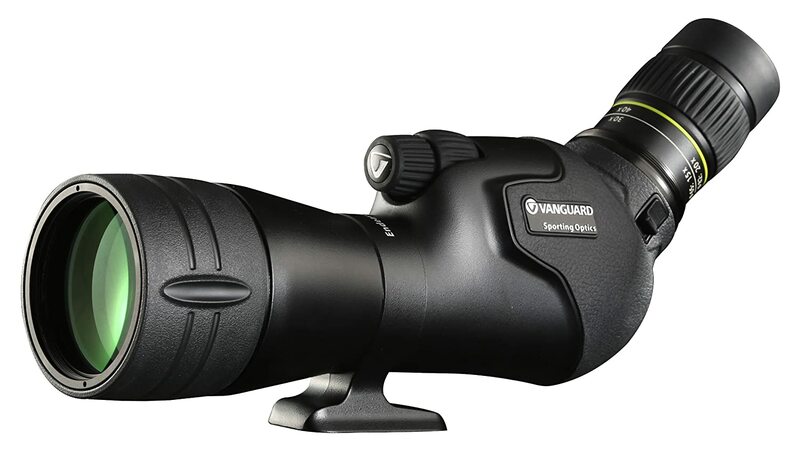 If “digiscoping” is an ambition, make sure the spotting scope selected can accommodate. 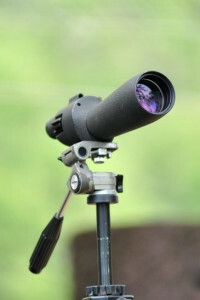 Hopefully, this article will help a new spotter determine which scope is best suited for them. Make sure to consider the suggestions made above, but also do additional research so your spotting scope lasts generations to come.